The first movie to be reviewed from the cinema at the Cosy Apartment is The Iron Curtain, a 1948 true-life thriller about the defection of Igor Gouzenko. 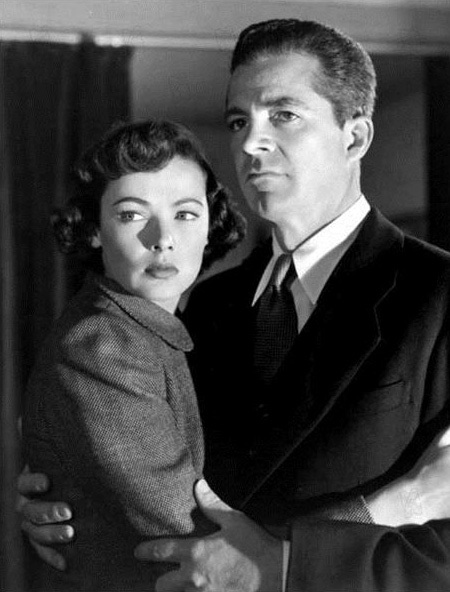 This movie was the second pairing of Dana Andrews and Gene Tierney, after 1944’s Laura. 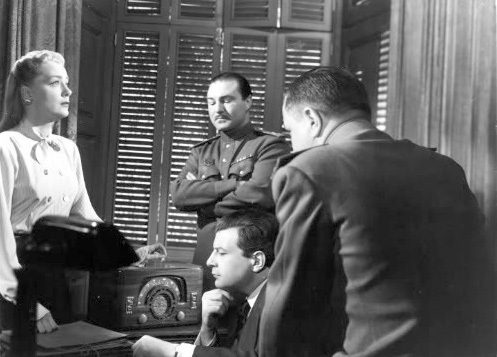 This film is definitely the lesser known of the two, and tells the story of a cipher clerk at the Soviet Embassy in Ottawa who, in September, 1945, defected with his wife and infant son to Canada, bringing with him documents detailing wide-ranging Soviet espionage against his host country, the United States and the United Kingdom. Little known today, the incident was, in effect, the start of the Cold War. The Allied Powers had just won the Second World War; indeed, the surrender of Japan took place just days prior to Gouzenko’s defection. Few in Canada, the U.S. or Britain believed the Soviet Union to be a danger; fewer still believed that it was actively campaigning, secretly, against its friends. Gouzenko’s actions opened many eyes. Andrews credibly portrays the main character, someone who, though perhaps not exuberant in the cause of his country, believes in it. His views change, especially under the influence of a cynical comrade (Eduard Franz) in military intelligence. His decision to defect seems a little rushed in the movie, but it was aided by his impending replacement, and orders to return to Russia. Likewise, Tierney, as Anna Gouzenko, seems too swiftly to decide that all she had been taught in Russia about the West was a lie. Showing more interaction with everyday Canadians would have helped the story in this aspect. However, the film is well done. The supporting players are excellent. Franz’s drunken speech in which he recounts killing his own soldiers to induce fear great enough to volunteer for a suicide mission is heart-felt, and Andrews’s reaction, having to remain silent to avoid showing incriminating sympathy, is perfect. 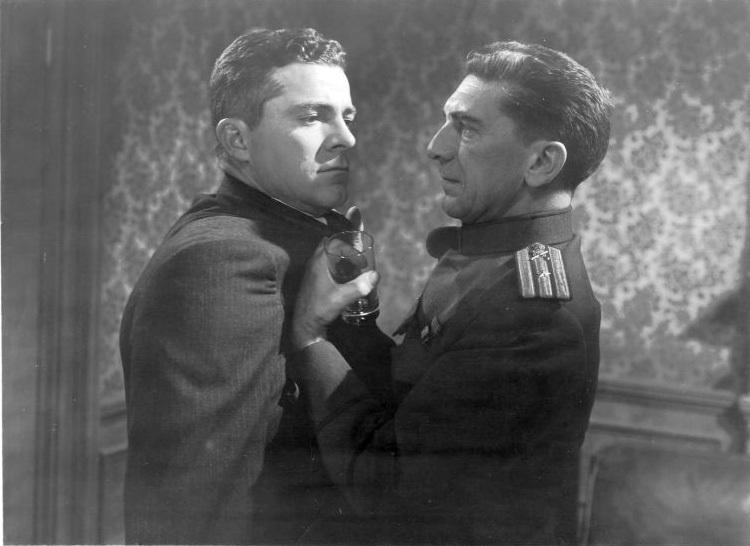 Berry Kroeger portrays a high-powered Comintern official, self-assured and confident, even when facing defeat. June Havoc has an intriguing role as a professional temptress. The writing is also very good. Speeches given by the hard-line members of the embassy may seem like anti-communist propaganda, but are very much the cookie-cutter slogans that are familiar to anyone reading the memoirs of Russian politicians or intelligence officers of the time. There is also a good sense of how some in the Soviet intelligence establishment viewed their work as routine and just a job. The movie is narrated (by Reed Hadley) which gives it a semi-documentary feel, similar to the large number of high-grade British movies coming out at the same time. Something that leant authenticity to The Iron Curtain was the use of Canadian locations, specifically, the actual locations at which events in the film occurred. The exterior shot of the Gouzenkos’ home in Ottawa is of the real building in which the real Gouzenkos lived. All the outdoor scenes were filmed in Canada and, clearly, during cold months, as the genuine snow (not the soap-flakes often used by Hollywood), proves. The newspaper office shown looks convincingly real, and quite different from every other such office I’ve seen depicted in movies of the era. That the film’s writer, Milton Krims, was American is attested by the rare mistake, such as the repeated reference to a character as a ‘captain’ in the Royal Canadian Air Force, even though there was no such rank, and the character’s uniform shows that he was, in fact, a group captain, equivalent to an army colonel. And I did learn things, such as Gouzenko’s given name being pronounced, not as the familiar ‘ee-gore’ but like the word ‘eager’, and his surname having an invisible ‘Y’: ‘Gouzyenko’. 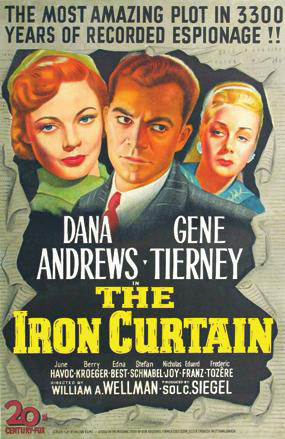 The Iron Curtain is an entertaining and very interesting handling of an important, forgotten event in international relations. Wow, filmed in 1948 and some on location?! Seems as if that was rather rare. Great review! It was very rare in those days, but it added greatly to the authenticity. The blog set-up has changed since I created the first one, so it takes a bit of navigating. But I think I have a button for that now. I had never heard of this, it sounds good. It was, even though I knew the ending. There are a number of them about this topic, including Gouzenko's own book. This IS a great review! I enjoyed every line. I LOVED this type of movie and more of the old ones, and I will absolutely be here to read what you are thinking. Oh and Renn too. Well, everyone. Parker and Came...everyone. Thank you. Initially, there may be more than one review a week, as I have a number of previously viewed movies I would like to review. This was very interesting and educational. It brought me back to the old days of reading movie reviews in the newspaper. Well done! I have followed you and I see I'm not alone.